Disclosure: I was invited out to the Earth Day Food and Wine Festival in Paso Robles. All opinions are my own. Every time I take time to explore the Central Coast, I come back rejuvenated, but even more so, more intrigued by this part of California. 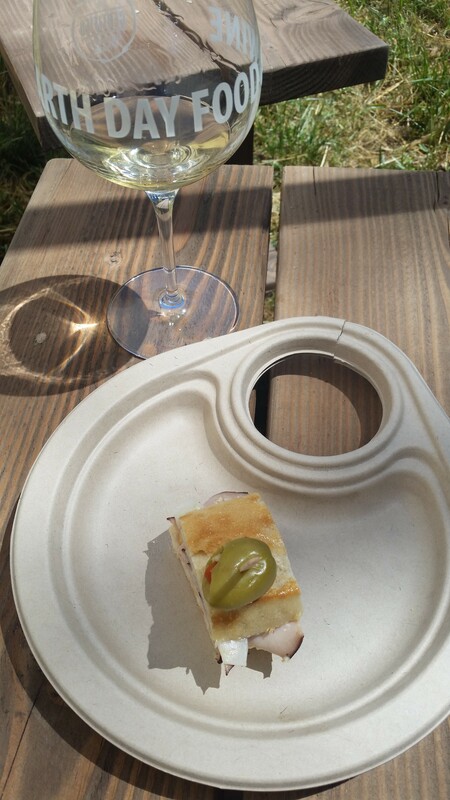 Being a huge wine lover, and having passion for the grape, but also the winemakers, and farmers, that do the work behind the scenes, when I first heard about the Earth Day Food and Wine Festival, I was intrigued. Most days, I hear about wine festivals, and my ears perk up, however, I knew there was something special about this one. Earth Day Food & Wine was the first event to provide an opportunity for attendees to connect directly with local farmers, winemakers, and chefs in this unique format. It got started because these purveyors wanted to share what they’ve created in a fun, casual environment. Needless to say, they did just that! The festival just had their 10th Annual Event, and has already confirmed it will be taking place in 2017. The venue at this year’s festival couldn’t have been more perfect: Castoro Cellars, underneath their beautiful Oak Trees. While tasting wines, many would offer a food pairing to go with their wines, or there would be separate tables from local restaurants within the area. Paso Robles, being so close to so many farmers, is a top leader in the Farm to Table movement, and all of those fantastic restaurants were present at the festival. The food was truly top notch at this festival. For those in the area, they could easily stop by some of their favorites, or those new to the area, could find some new places to try. While guests enjoyed their food and wine, live musicians played music on stage in the Beer Gardens, Cooking demonstrations were available, and throughout the grounds, various seating arrangements were available. Others even brought in their own chairs and found a nice spot under one of the gorgeous trees around the property. It was a great environment to enjoy wines, eat some amazing food, and just have fun. So, mark your calendars for next year’s event: Because let me tell you, it’s completely worth it. Every few years, the Festival changes locations, and next year will be bringing the festival to San Luis Obispop at Chamiscal Vineyards on April 22, 2017. For a limited time you can purchase 4 or more tickets for the price of 50 Dollars Each.